ARTA, is 79$, the user interface seems a little clumsy. Baudline is Free$, a somewhat different interface because the menu system is on the second or third mouse button, but really cool visualization tools. A quick look around shows a simple to use, and highly customizable interface. Out of the box the dB scale starts with 0 dB as full input. Also I could not find a way to measure relative to the noise floor of the mac. The frequency scale is linear, not logarithmic like we are used to seeing fir speaker analysis. It is Linux and Mac OS compatible, free and very interesting, Very interesting! Bismark BS-spectrum Free$ have not tried it. Blue Cat Audio Freq Analyst Free$ High Resolution, simultaneous windows. This is a plug in for a audio app. I have used it in Audio Hijack Pro, to look at how I am modifying the output frequency using Blue Cat Audio´s Tripple EQ. This is a good way of listening to speaker output, making changes that mimic what you can do with filters and seeing the effect on the computer output. It´s a mac only solution, though. Sonic Beacon Free$ havnt tried it. TrueRTA is 99$ for their best version, and much better in the GUI department, they have a good following and good documentation. I have down loaded the free demo to an old PC 635MHz CPU, 250Gb RAM. As long as I do not use any other software, I am fine, with analysis taking 40% to 60% of system resources. VertexDSP Multi inspector free Free$ have not tried it. Visual Analyser by http://www.sillanumsoft.org/ Free$ It works well on my elderly windows XT pc 635Hz 40Gig 250Ram, and it works well with Wine on Ubuntu 10.10. Usability is good. There is not a conventional pull down mnue, but a series of buttons on top take you to the setup. Once you are done setting up everything is done in one window. This is my favorite app right now, together with Holm Impulse. Voxengo SPAN Free$ Haven´t tried it. Behringer measurement microphone ECM8000 30$ plus postage was the cheapest I found on Ebay. Panasonic WM-61A, is recommended from several sources. you can by them on Ebay for about 3$ each. Here is a very complete description of how to build, power and use the mic, by John Conover. M-audio usb products such as Fast track have integrated phantom power. 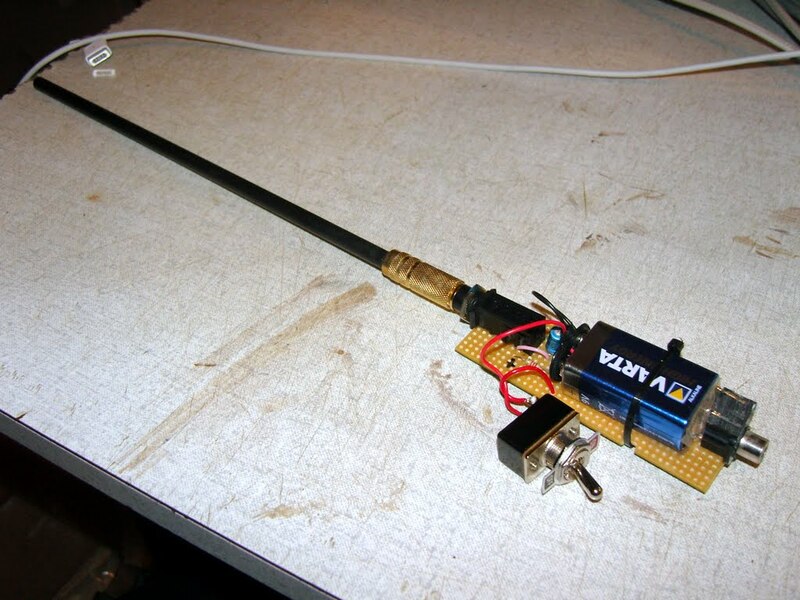 Here is a post from a Norwegian forum that shows how to build phantom power for the Panasonic mic. 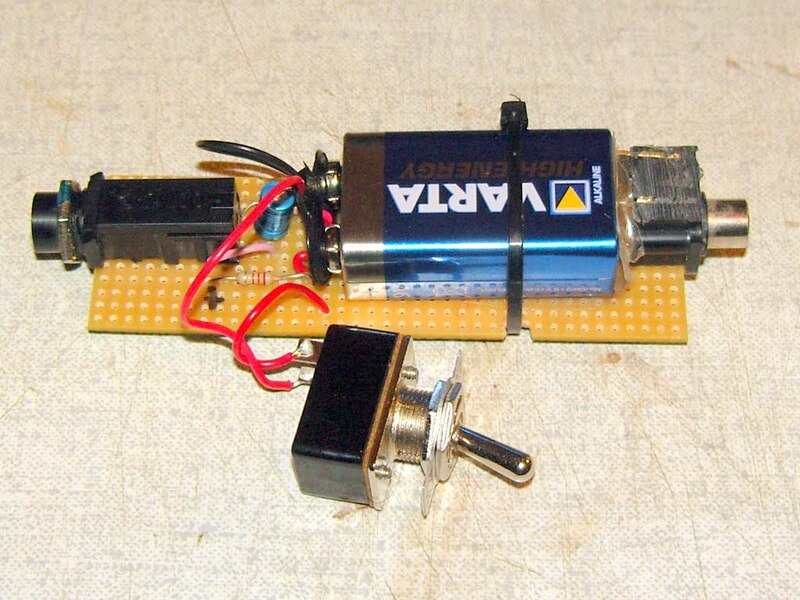 The John Conover link above has several preamp proposals. Ebay is ripe with preamps, and so is the WWW. I haven’t really worried about this as I have a B-Tech BT26 that should do the trick. It would be nice thou to have something battery or USB powered to ease setup. External sound cards such as the M-audio products, are good, as are several mid to high end on board cards. This is the great unknown right now. I have found only expensive recommendations on the WWW. No one has explored how the simpler end would work. Still undecided on the software, I decided to collect parts and build a Panasonic WM-61A microphone and the Norwegian phantom power circuit pictured above. The WM-61A mic was ordered on Ebay in a bag of 6, just in case I needed to practice. As things turned out I only needed one. The trick to soldering these tiny components is to pre tin the wires. The microphone is pre-tinned. Place a tiny drop of solder on the iron for quick heat transfer. 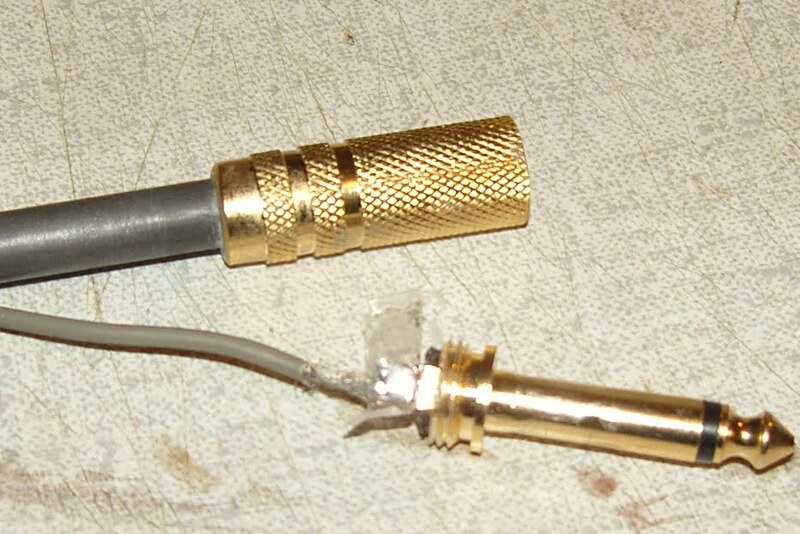 Touch the mic and wire together and the solder connection is made in a second. I recommend starting with the live(+) wire, as this gives you room for checking that it is clear of the ground(-) terminal and housing. Following Linkwitz the + and – could also be reversed after some modification. Please read Linkwitz´s site for more info. In the other end I soldered the shielded wire to a mono jack plug. For a wand I used the shaft of a carbon fiber arrow. It allowed the mic capsule to move freely up the tube. 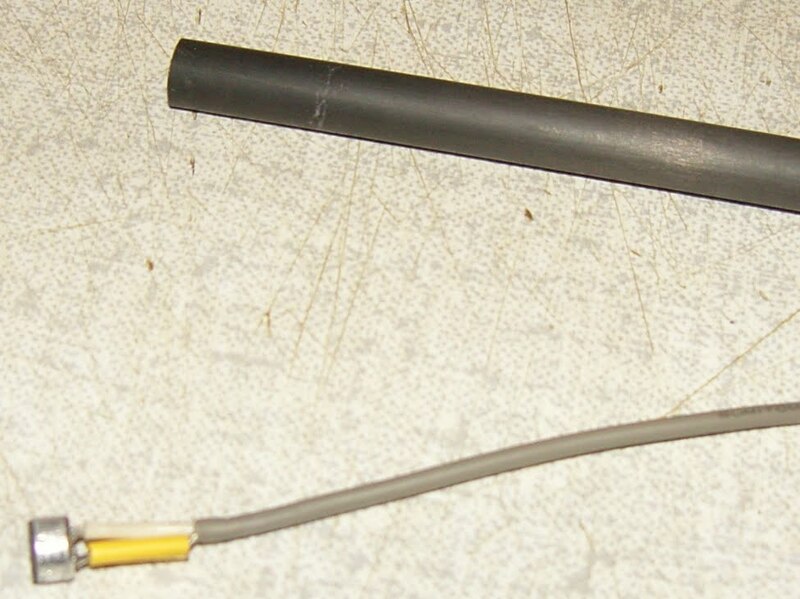 The housing of the jackplug was epoxied to the carbon wand. To complete the structure it was a matter of threading the mic and wire up the tube and screwing the housing on the jack plug. I built the Norwegian phantom power on a piece of experimenters board. It is big enough for a jack plug socket in one end and a phono socket in the other end. In the middle the few components and a 9 V battery. I added a power switch, and have plans for a combined chassis and mounting point for a tripod.